When I found out that there was a great farmer’s market just blocks away from our new house, you can guess I was thrilled! I was a regular attendee at the market in Stockton and was sure that this was going to be even better! 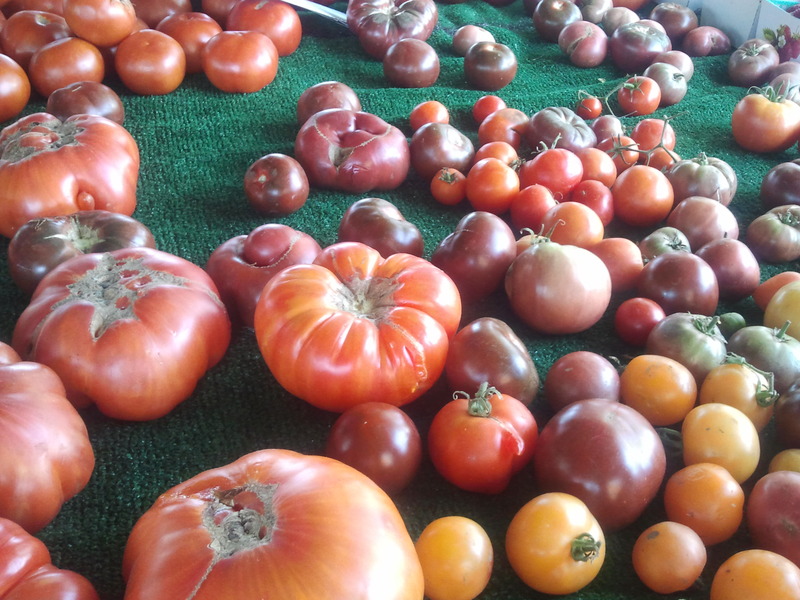 Better and not… Bigger certainly and with a more diverse variety of vendors but I’m from California’s Central Valley and we are the heart of the West Coast’s agricultural being. So, better…not really. The produce is the same quality and a bit more expensive (par for the course here in SoCal). This has not stopped me from regular attendance and has not curbed my enjoyment of the market experience one bit. Typically we start out on our walk with many complaints from my eldest… “it’s hot, I don’t wanna go. Why does Looshy get to ride in the stroller and I have to walk?” Etc. In spite of these protests we always enjoy great conversation on the walk to and from the market. I love to get inspired by what I find on saturday mornings. A particularly aromatic melon may require a trip to procure some prosciutto or perhaps five for a dollar yams might be aching for a space on the grill. Either way, I know I’m leaving the market with the goods and motivation. Today we bought strawberries, gorgeous heirloom tomatoes, fresh mozzarella, basil (you can guess where I’m headed or at least which country I’m visiting in my head), kale, four varieties of musk mellon two of which I’m told are french and a mix bag of dried fruit for snacking while meandering. Once we returned home, I was chomping at the bit to get started. 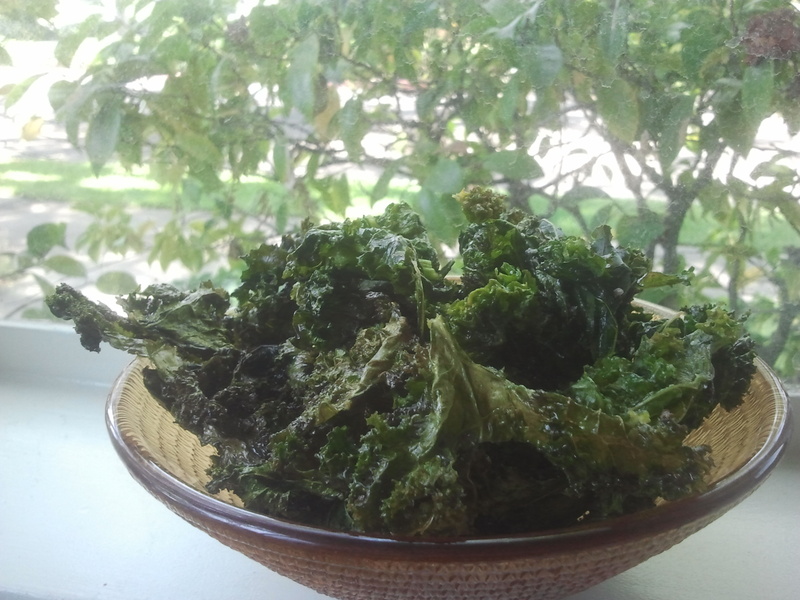 I began by making kale chips. A few weeks ago we spent a lovely afternoon with a girlfriend and her kiddos and she made these amazing “chips’! I was so pumped on my kid not only eating kale but reaching for more and more. Her recipe was simple. She washed the kale, and please do not take this step for granted. Today’s kale reaped a menagerie of tiny spiders, 3 slugs and one very very small snail. Once washed and dried, she ripped it into chip sized pieces removing the toughest parts of the spine. It was then placed in a bowl, generously drizzled with olive oil, sprinkled with sea salt and tossed to coat. Once covered, it was placed on a baking pan in a 375 oven for 15 minutes where it was tossed every five. It came out crispy and beautiful and far healthier than any potato chip. I experimented today and found that the addition of garlic powder was delicious but the chipotle chili powder over powered the natural leafy taste of the kale. $2 worth of kale yielded about 7 cups of chips. My next food project was an heirloom caprese salad…see what I did there? I made one for Cosmo and I to have for lunch. I stacked it up like a pretty little neapolitan and drizzled it with a bit of olive oil and balsamic. It was lovely and delish! However, I made a larger portion to take to a barbecue this afternoon and did a chopped version of the same for ease of use. Both were very yummy. 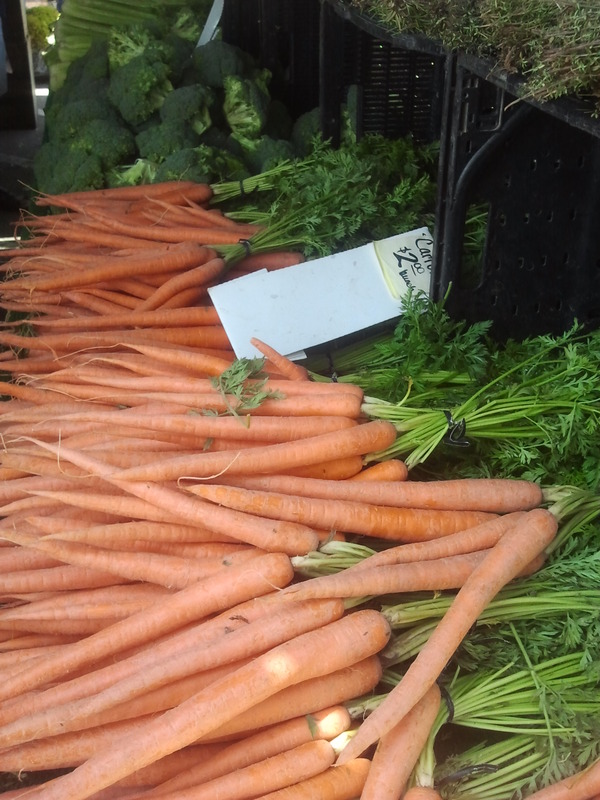 More than just the purchases, our farmer’s market trips are truly about the experience. Walking together, being outdoors, purchasing from the people who grow/make the product, seeing uncommon varieties of common food and plants and just a general feeling of being closer to the process. These are the days that I hope rub off on the kiddos, these are the tiny moments that make life really good. I love this blog thing. I can follow my baby’s life & her beautiful baby’s lives a little closer it doesn’t take the place of holding & hugging any of them(which I’m really needing just lately) but it’s better than nothing & I’m so proud of your ability to put your thoughts in writing. I love you so much! And you didn’t even use all caps! Bravo!